/ Liquor Store POS Software | Blog / Inventory System / What are the Key Components of Liquor Store Inventory Control? 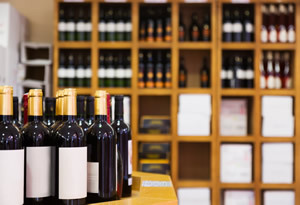 What are the Key Components of Liquor Store Inventory Control? A single liquor store could have thousands of inventory items at a given time. These items can be on shelves, in a storage room, or even a warehouse. Controlling the inventory is crucial to the stores profits. Therefore, it is important to properly manage your inventory. By having the right liquor store inventory control software in place, you can be set to only order the product you need, discount product that is not selling, see your profit margins, run reports, and more. Proper inventory management begins the moment you begin to order product. Use a liquor store inventory system to easily order the right product mix. When you’re placing your orders you are going to want to know how the item is selling (or not selling), how much product you currently have, and how much you should order. This will assist you in making educated business decisions and help you make sure that your most popular items stay continuously stocked.. You can also eliminate unnecessary backroom or warehouse stock with non-selling items. Next to ordering, you need to be able to have excellent reporting. This will allow you to see your inventory levels from all angles. Manage your cost, markup, in-stock quantities, quantities on order, and more. By viewing your inventory from all angles, you can have full view of your store. Make sure to use liquor store POS software at every checkout register. The register will connect to the stores database and help you track sales and returns of items. It will also allow you to see inventory moving in real-time between quantity on hand and final sales. The cashier will also be able to immediately alert managers if they notice a quantity or label issue when items are scanned during checkout. By being able to immediately see issues, managers can fix the problems immediately. Investing in any liquor store point of sale software is a significant commitment. Choose a POS software that has excellent liquor store inventory control, and one you want to partner will for the long term. It is a huge decision so look for the key components while talking to a sales representative and see as many demonstrations as needed to make the right decision. For more information about implementing an liquor store inventory system, click here to contact us.